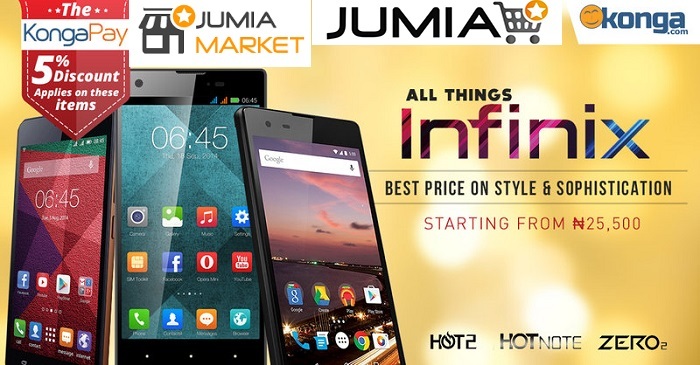 If you are for where to buy Infinix phones, you are in luck as you are in the place. Infinix is the most popular mobile brand in Nigeria, Kenya, Egypt, Morocco, Ivory Coast, Ghana, Cameroon, and even in Pakistan. Infinix mobile phones offer great specs at affordable prices. Since the launch of the Infinix Zero in 2014, Infinix phones have progressively offered more stylish designs. And now there is an Infinix Zero 4, an Infinix Note 3, an Infinix Hot S, Infinix Hot 4, and the more recent NOTE 3 Pro. All Infinix phones in the Nigerian market run on Android and are available at Nigeria’s leading online stores: Jumia and Konga. Shopping for your desired Infinix phone requires you to choose your location especially if you are buying the device from Jumia. Discover Infinix mobiles on Jumia and Konga which is actually one that will suit your personality from the complete corporate individual to the free social youth. The Infinix race lite looks, feels and performs exactly what you dream of, the race is never so closed to youth, the race bolt has the sleek look that makes you never give up, race eagle is for those who make things happen, this is the perfect model of the Infinix brand, and then tablets.